With the recent series of storms drenching the Bay Area, we see a big increase in car accidents due to the rougher traffic conditions. In many cases, drivers and passengers may suffer from whiplash injury in which the neck and head are very suddenly accelerated in one direction and then another, i.e. forward to back or side to side. This injures the delicate tissues of the head and neck including the muscles, ligaments, joints, discs and nerves. 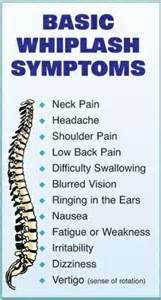 Whiplash can cause symptoms like neck pain, back pain, headache, stiffness, tingling, numbness, dizziness, fatigue, etc. FACT: Studies have shown injuries occurring in impacts as low as 5 miles per hour. MYTH: There is little or no visible damage to the car so it is assumed that the people inside are also unharmed. FACT: Studies have shown that the extent of vehicular damage does not always predict the amount of injury the driver or passenger suffers. 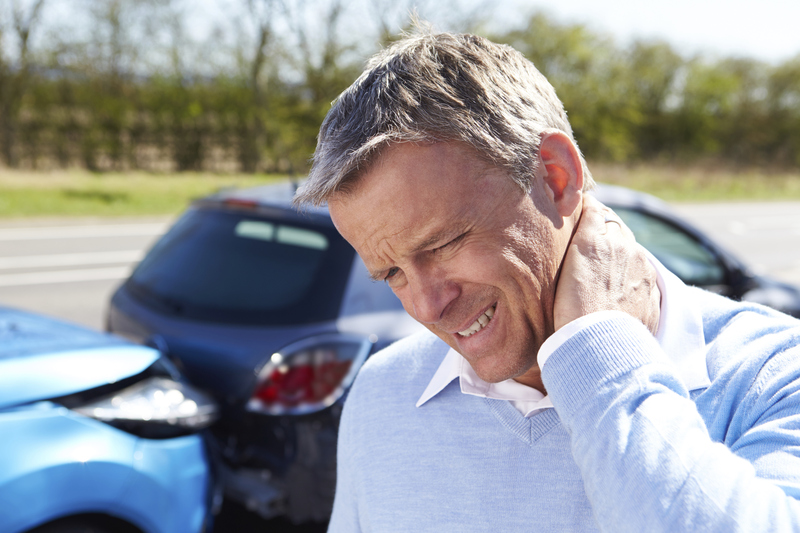 MYTH: Whiplash victims very often do not feel any pain or symptoms right away. FACT: Studies show that symptoms may not always present right away. Sometimes, patients report pain a couple days, weeks, even months after the accident and may not necessarily connect the problems with the original accident. MYTH: Sometimes, whiplash sufferers experience symptoms briefly that go away without treatment and assume that they have recovered on their own. FACT: Studies show that symptoms are likely to become chronic for months, years, even decades after, if the victim does not receive proper or complete treatment. We see this often in our office as a list of symptoms and problems that arise only after a car accident over the span of a long period of time that were not present before. This is why it is important to be checked for injury after any type of vehicular collision by a Doctor of Chiropractic, regardless of whether or not one is experiencing any pain or symptoms. Chiropractors are specially trained in assessing the body structures involved in a whiplash accident and providing drug-free, effective therapies that not only give the whiplash victim relief from pain or discomfort, but can also prevent any symptoms from persisting in the future. This is why studies show that 93% of whiplash patients improve with chiropractic care! At our office, we offer a comprehensive approach for whiplash recovery including chiropractic treatment, physiotherapy, kinesiotaping, rehabilitative exercise and massage therapy. So if you have been in a fender bender, don’t wait to see if symptoms show up and don’t suffer! Get checked by a chiropractor as soon as possible to get back on the road to recovery!